Dollops of Diane: 80s Fun! My brother in law and sister in law recently celebrated their 10th wedding anniversary. Since they didn't do a big bash for the original wedding they decided to throw a party for the anniversary. So we spent this past weekend in Vermont having family fun. There were lots of laughs, lots of food, and lots of beverages. The big event of the weekend was Saturday night, where I'm not going to lie, Tim and I crushed it for the era themed party. We're like totally rad, right? 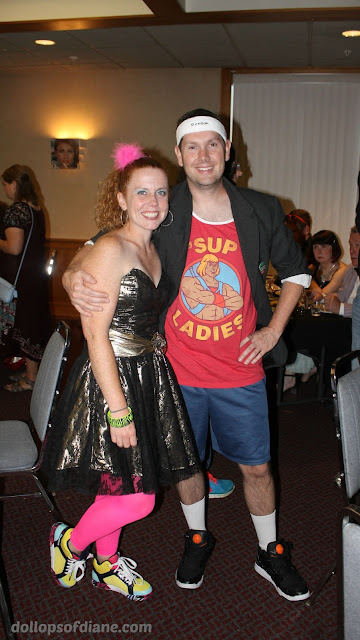 80s to the max!